Our first trip of the year will be on May 11th...we can't wait! Online booking is now available for all of our 2019 season, we hope you can join us! Visit us on Facebook for daily trip reports and photos. 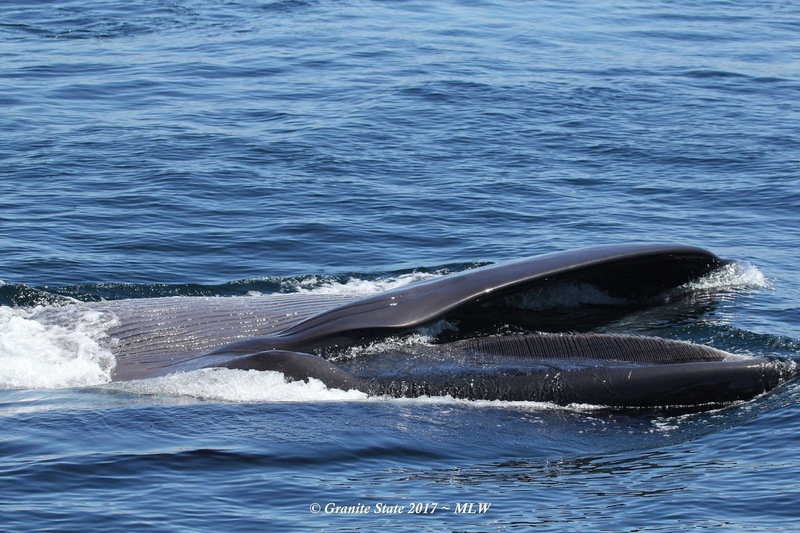 Sei Whale surface feeding on its' side. Jeffreys Ledge, May 27, 2017. M. White photo. Check us out on TripAdvisor, where we're been awarded 4 Certificates of Excellence! We also do Isles of Shoals tours and trips to Star Island aboard the "Uncle Oscar"! Visit Island Cruises for more information. May 11 11:00 AM -first trip of the season!